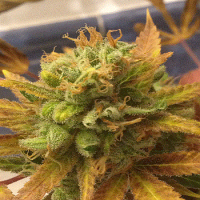 Fire OG Kush is an Indica dominant hybrid that is regarded by many to be the most powerful OG Kush strain on the planet. 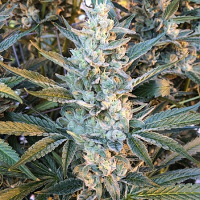 Fire OG Kush Feminized Marijuana Seeds by Reeferman Seeds: Fire OG Kush is an Indica dominant hybrid that is regarded by many to be the most powerful OG Kush strain on the planet. Often suggested for use during the afternoon and evening, the Fire OG is most often used by those looking to stave off insomnia. The body makes dealing with even the most severe chronic aches and pains tolerable and it is popular and heavily prescribed for this reason. The cerebral effects can help fight the symptoms of stress, anxiety and depression and for others it calms nausea and helps fight against various eating disorders.